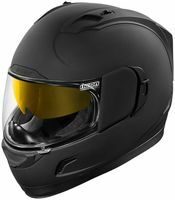 The Proshield Pinlock Ready Shield fits Icon’s Alliance, Alliance GT and Airframe Helmets. Insert lens sold separately. Note: The Airframe Pro helmets use a different shield, the Optics shield.